Part of the Cofiwch Dryweryn monument has been ‘knocked down’ after being repainted yesterday. The mural was vandalised by graffiti for the second time in two months yesterday with the words ‘Agari’ but was repainted before nightfall. Parts of the wall have fallen off before, and there have been concerns about the structural integrity of the ruin on which the famous slogan is painted. However, given the proximity to yesterday’s vandalism, there are concerns that this was a deliberate attempt. “This is a disgraceful affront to our history,” Ceredigion AM Elin Jones said. There have been calls for a permanent Tryweryn monument as well as calls on the Welsh Government to take steps to safeguard the Tryweryn mural. 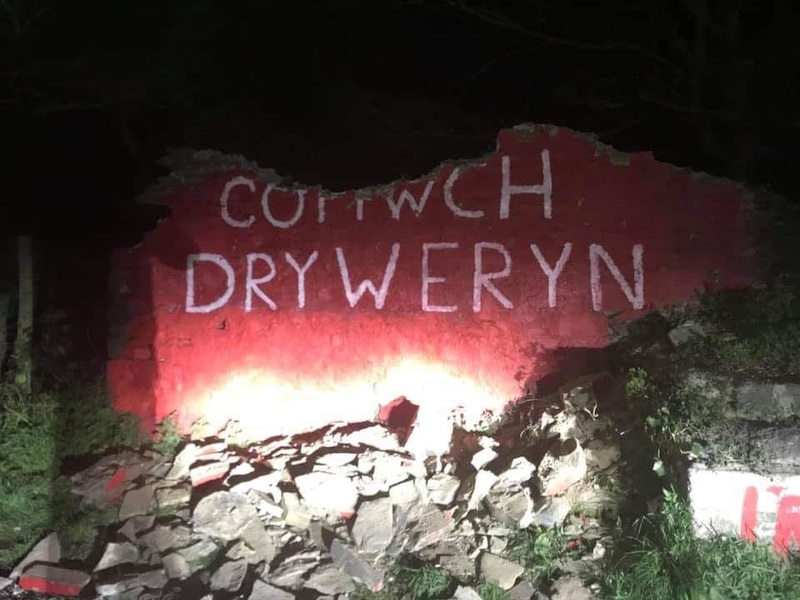 Cofiwch Dryweryn has been painted on the wall since the early 1960s in a reference to the Welsh village near Bala that was flooded to provide water for Liverpool. The ‘Cofiwch Dryweryn’ slogan was originally painted by the academic Meic Stephens, who died last year at the age of 79, and Rodric Evans. Actor Rhys ap Hywel is also known to have re-painted the wall as a schoolboy. The wall was painted again in February by members of Cymdeithas yr Iaith’s Aberystwyth cell. 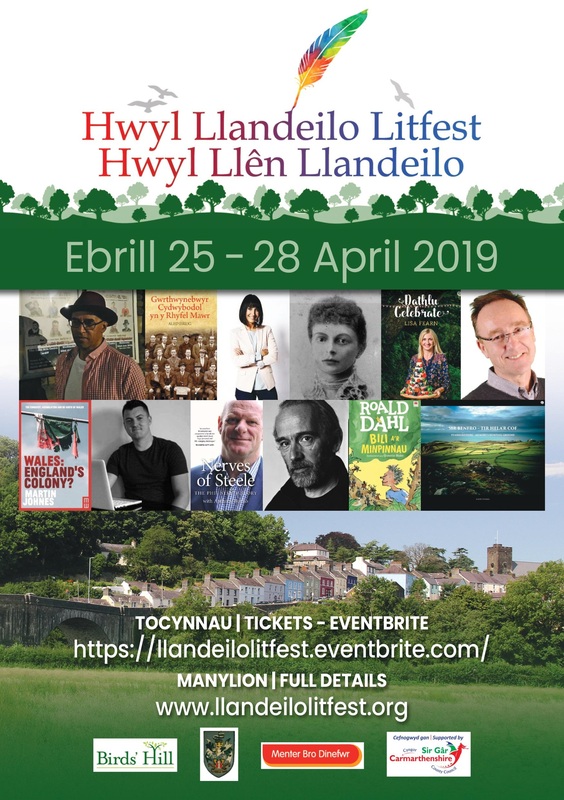 Following yesterday’s repainting Elfed Wyn Jones who was involved in the repainting told Hiraeth films that it was something “he had hoped he wouldn’t have to do again” . “I’ve had enough of the Welsh Government being supine and unwilling to protect this mural. They jumped at the chance to save that Banksy in Port Talbot.